In a world where wind tunnels dictate the shape of most supercars, the Mercedes-AMG GT is an outrageously brash breath of fresh air. Priced to rival top-end Porsche 911s, its 4.0-litre V8 engine delivers astonishing pace and a truly bonkers soundtrack. 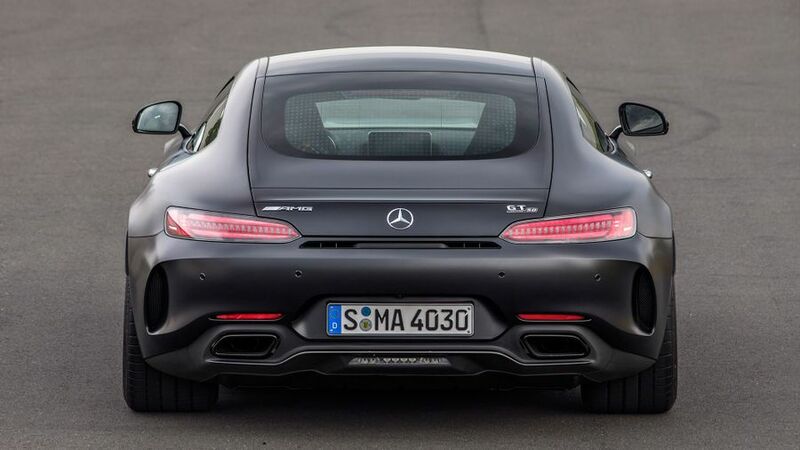 The Mercedes-AMG GT delivers all the thrills you could ever wish for. With its dark, threatening looks and an exhaust bellow that wouldn’t sound out of place at a World War 2 aerobatic display, it’s big on speed and even bigger on drama. For such a long, wide, car it’s also surprisingly easy to drive quickly, exhibiting a poise and the kind of interaction that seat-of-the-pants drivers will simply adore. The base car is marginally less thirsty, but do you care? 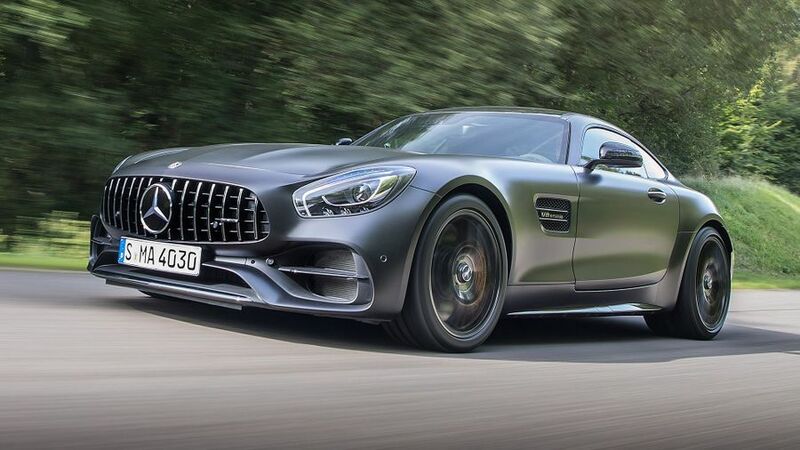 Interested in buying a Mercedes-Benz AMG GT? Any performance car needs a certain amount of visual drama and the GT delivers in spades. With a huge three-pointed-star slap bang in the middle of a grille big enough to devour small villages, and a bonnet that seems to disappear into the next county, the curvaceous roofline, squat rear end and short overhangs come together to deliver a retro look reminiscent of an explosive '60s muscle car. Throw in a burbling exhaust and, whether it be just the base model or one of the more overt-looking S and C versions, you should be prepared to be the centre of attention wherever you go. 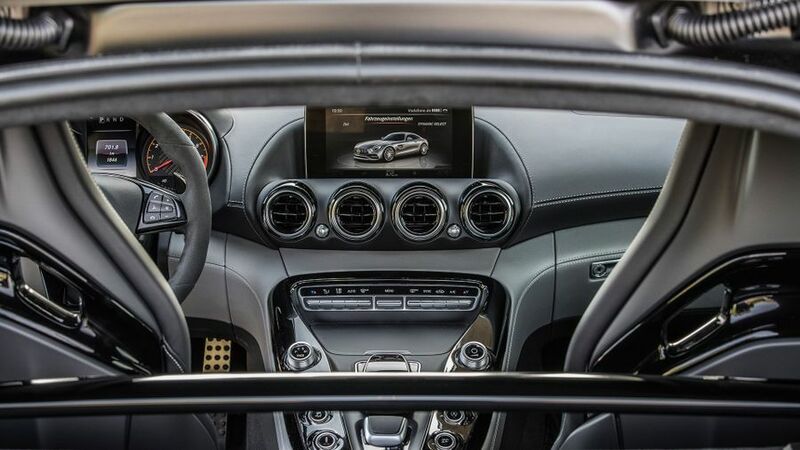 Climb inside the GT and you’ll discover every bit as much visual theatre as you saw from the outside, with the top of the dashboard dominated by the four circular air vents and a tablet-style screen for the infotainment system. This system isn’t the most intuitive you’ll ever use, but it becomes simple enough with practice. That’s as long as you use the rotary dial to control it, as the additional touchpad that partially hangs over the top of the rotary controller is pretty tricky to operate when driving. The centre console itself is incredibly wide - no doubt a by-product of locating the engine as far back into the cabin as possible - and it’s populated by banks of miniature jam pot-sized rotary dials and a dinky drive selector. Unfortunately, these are all located too far back for easy use and you need to take your eyes off the road for too long to operate them. There are some other ergonomic issues, too. Although the driving position is excellent, with a wide range of adjustments for the supportive sports seat and the neatly proportioned steering wheel, the shallow windscreen, plunging roofline and thick pillars mean all-round visibility isn’t in the same league as in a McLaren 570S. A two-seat supercar is never going to be the most practical choice, but in the grand scheme of things, the GT doesn’t do a bad job. 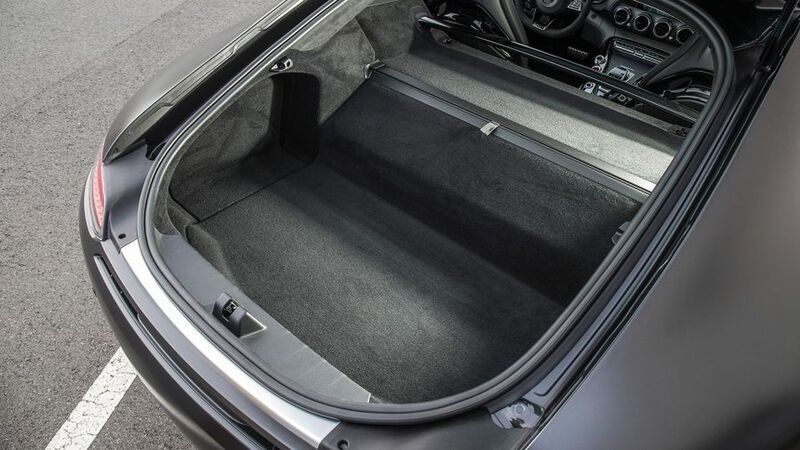 Unlike many mid-engine supercars, which have boots at both ends of the car, the front-engined GT only has one luggage area located at the rear. The hatchback-style opening gives decent access and the luggage bay itself is a decent size, with more than enough room for a few weekend bags. Extending the fabric luggage divider will impact on the ultimate capacity, but the open design of the cabin is such that you’ll need to use the divider if you plan to drive fast; otherwise, you may find your luggage joining you up front when you break heavily. A few narrow door pockets and a massive pair of cupholders in the wide centre console, plus a deep bin under the armrest, mean there are plenty of places to stash keys, mobiles and sunglasses. To date, the only version of the GT we haven’t driven is the most basic car. Mind you, it’s still an extremely advanced motor car, with a twin-turbo V8 engine up front and a seven-speed twin-clutch gearbox resting on the rear axle to give the best weight balance possible. It also uses lots of aluminium in its construction and is underpinned by sophisticated race-style suspension. The S, C and R versions up the ante with adaptive dampers, while the C and R come with a wider body and four-wheel-steering to make it corner more sharply. The R is effectively a racing car toned down to use on the road, employing an advanced aerodynamic package, mechanically adjustable suspension and loads of carbon fibre panels to reduce weight. Even in 'Comfort' mode, the low-speed ride is pretty firm, and the most notable characteristic is the way the car shimmies from side to side when a wheel hits a bump. 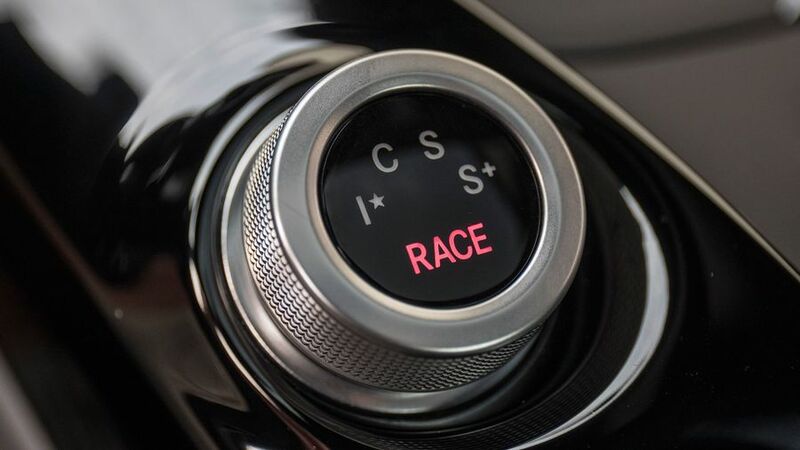 The ride improves once you’re going faster, making this a decent cruiser; but, to get the best compromise between ride and handling, you need to select the firmer 'Race' mode, which tightens up the body control and improves the steering. With the car set up like this, you’ll enjoy immense grip and super-tight body control; and, considering this is such a big car, it feels very light, agile and adjustable, to such an extent that its cornering attitude can be altered in bends simply by applying more or less power. On the downside, the GT is fitted with extremely wide tyres and they kick up a significant amount of road noise. You’ll also notice a fair amount of mechanical whirring coming from the rear axle at lower speeds. That said, the car is far from uncouth and we’ll happily sacrifice a degree of refinement for the sheer driving pleasure that the GT delivers. All GTs are powered by a 4.0-litre twin-turbo V8 engine, which generates increasing levels of power as you move up the model range. While the most basic car produces a very palatable 478PS, by the time you get to the R, that figure has risen by over 100PS. That means every GT will hit 62mph from rest in less than 4.0 seconds, and they'll all carry on to more than 200mph. In other words, all you have to consider is just how quickly you want to reach that point. Even partial pressure on the throttle in the more modestly powered cars delivers a bombastic assault on your ears and a truly savage burst of acceleration; and, if you keep your foot down, the pace just keeps on building with what seems like relentless aggression. Step up into the C or R, and you really are looking at neck-snapping pace. So much so that it will take your senses time to adjust to the intense blur of the landscape hurtling by. At this point, you might also reflect that the £6,000 you forked out for the optional ceramic brakes was money well spent. In more mundane circumstances, the V8 engine works really well with the seven-speed transmission, with just the odd thump notable when driving around town. Overall, though, there’s so much power in the engine that it’ll pull strongly from really low revs, meaning it’s a surprisingly docile car to drive when you just fancy pootling along. 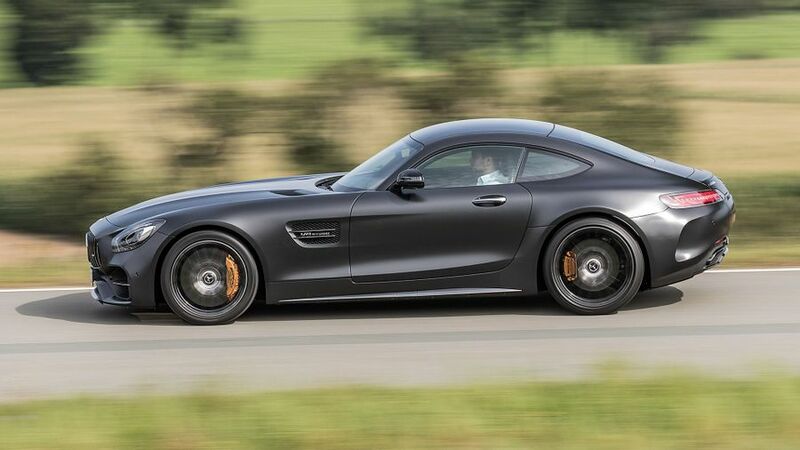 You’ll pay a suitably huge fee to buy the Mercedes for a GT, but really, it’s no more outrageous than most similar cars. Also, much like on most of its rivals, the official fuel consumption figures are laughable. Use the GT as it is intended and you’ll rip through tanks of super unleaded at a ferocious rate. Bills for insurance, tax and tyres will be fairly astronomical, as will any repair bills if you ding it, but if you can afford to buy a car like this, you can probably afford to run it as well. Unfortunately, we can’t be awfully helpful here. The GT carries a lot of specialist parts, the drivetrain and chassis to name but two, for which there is pretty much no reliability data. It also means you can’t really take much of a steer from Mercedes’ historical reliability record, but perhaps that’s just as well. The brand ranks rather too near the bottom of Warranty Direct’s manufacturer standings for comfort. The other issue is that the GT will sell in such penny numbers that there might never be enough data to give us a decent idea. 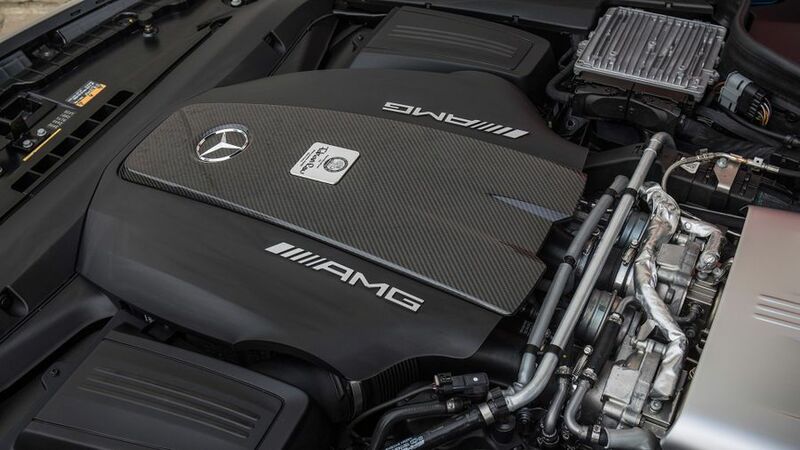 If you buy a GT, you’ll be putting your faith solely in the skill and diligence of AMG’s engineers, but to be fair, that’s not a bad place to put your trust. The GT comes with all sorts of traction and stability aids to help keep all that power going in the right direction, and it has six airbags to protect you and your passenger if your exuberance turns into over-exuberance. A system that detects fatigue in the driver and warns them that they need a break is also standard, while the optional Driver Assistance Package adds things like lane-keep and blind-spot assistance for a rather hefty sum. The car hasn’t been tested by Euro NCAP, and with the tiny numbers it’s likely to sell in, it probably never will be. You’d expect a car costing this much to come packed with standard luxury kit, and the GT does provides most of what you need: heated leather sports seats, climate and cruise controls, automatic lights and wipers, and a high-end stereo system that also includes Bluetooth, a DAB radio and sat-nav. However, it’s a bit mean that you don’t get parking sensors as standard, and with the limited view out the back of this thing, you’ll definitely be needing them. What’s worse, you can’t add them as an individual option, so you need to add the Premium Pack (which admittedly brings you a whole bunch of other luxury goodies like a panoramic roof, keyless go and a better stereo), which costs you several thousand pounds extra. Still, Mercedes is not alone at this end of the market when it comes to squeezing a few extra thousand quid out of your bank account. Chances are, you’ll buy a GT because you want something out of the norm, and chances are, you’ll already own, or have owned, several different supercars. 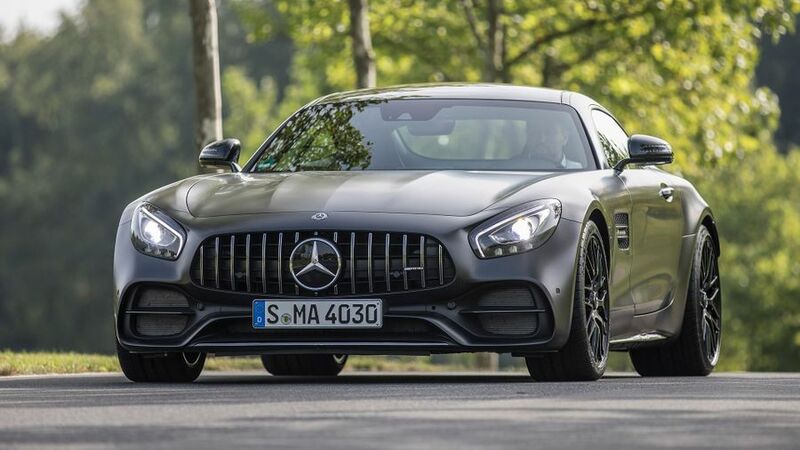 If that’s you, then the Mercedes-AMG GT will provide you with all the speed, the ‘look at me’ on-road exclusivity, and above all, all the noise you could ever want. In many ways, it feels more like an old-school analogue muscle car than one of the latest digitalised supercars, but in many ways, that’s exactly the GT’s appeal. Would we recommend you buy one? In a heartbeat.